Handy Salt Meter Lets You Know When Your Grub's Too Salty | OhGizmo! Too much of a good thing is often bad for you, and that especially holds true to salt. While salt-laden foods might be yummier, they’re also a whole lot unhealthier. So watch what you’re eating and keep track of the level of saltiness of your food when you can. Making the latter easier is the Handy Salt Meter. 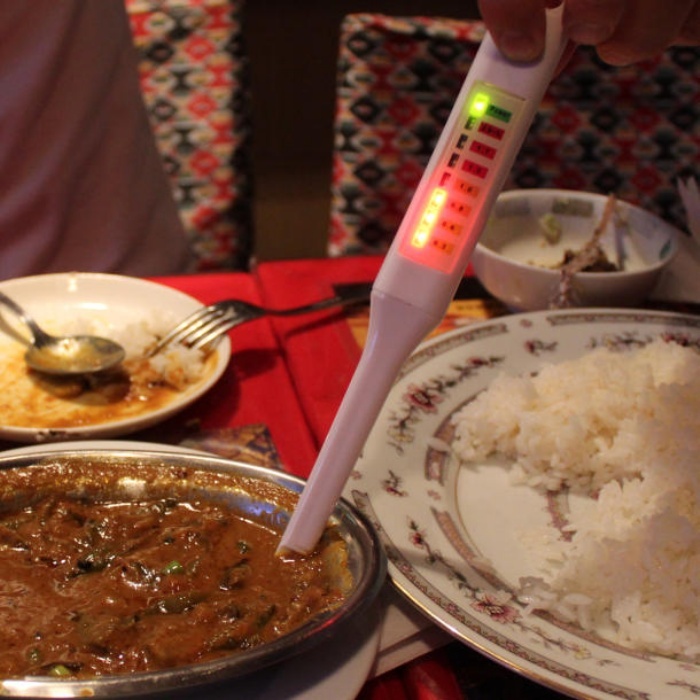 It’s got a LED display that lights up according to how salty your food is. All you have to do is turn it on and stick it into your food. It doesn’t work on solid or cold food though, so you just have to use your better judgment for those. The Handy Salt Meter is available online for $19.80.